Looking for musicians for your special event? Jaclyn Duncan Music LLC is available to perform in New York, New Jersey, Eastern Pennsylvania, Delaware, Maryland, Virginia, Southern California, Georgia, Florida & Colorado. Inquire HERE for more info! This is a question we hear at least a few times a month and for good reason! Selecting music for the Catholic Mass can be quite confusing if you're not familiar with the various parts of the Mass, the appropriate repertoire or even what your church allows to be played. 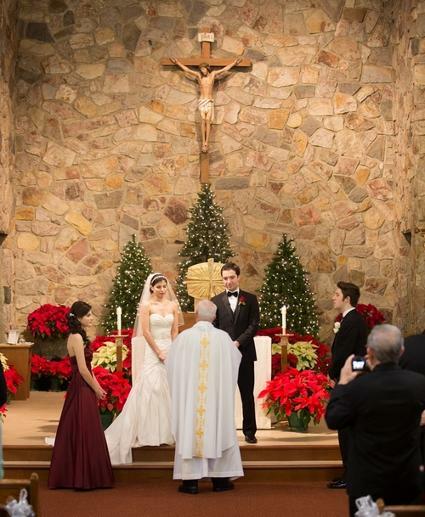 We've created this guide to make it as easy as possible for you to plan the music for your Catholic Mass wedding ceremony. Your church may require that you use their organist and/or cantor. * Typically, JDM does not provide music for these parts of the Mass. They can be spoken by your priest if no cantor/organist is present. Typically when we are asked to provide instrumental music for a Catholic Mass wedding, we will provide music for all parts of the Mass listed above EXCEPT numbers 3 & 4 (the Responsorial & Gospel Acclamation). If your church requires that you use their cantor/organist, then we leave these portions to them to play solo. If your church DOES NOT require their cantor/organist to be present, JDM can provide a cantor OR if you want to go sans-vocalist altogether, most priests will speak these portions of the Mass in place of having them sung- If you want to go this route, please make sure you TALK WITH YOUR PRIEST FIRST so they know you'd like them to speak these parts. Your church may NOT allow pop music. While some churches are quite liberal, not every parish will allow music outside the classical or liturgical repertoire to be played on the premises. Want to include some Beatles or your favorite Top 40 hit? Definitely RUN THIS BY YOUR PRIEST. 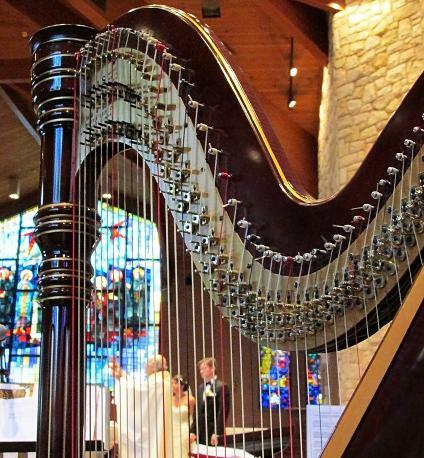 We wouldn't want to disrespect your church with our music both for our reputation as musicians and for you- Who wants grumpy clergy on their wedding day? So PLEASE- check with your church before you select contemporary pop music! We will select appropriate music from our classical repertoire for this portion that is most suited for the instruments/ensemble you have booked- Leave it to us to choose songs to set the perfect atmosphere! We'll leave these to either your cantor/organist to sing or your priest to speak unless you have hired a cantor through JDM. If you'd like us to accompany the church organist, this may be able to be arranged. OPTIONAL- You do not need to have a song here, but this is a perfect place to include a vocal selection. If you have a friend/family member who sings, we'd be happy to accompany them. If a church cantor is present, we can easily perform a song together, with or without organ. 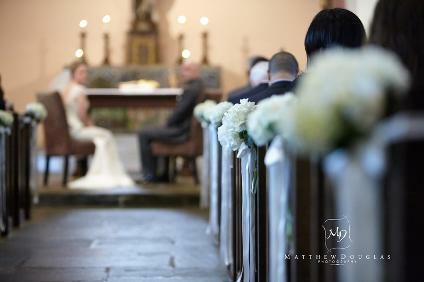 OPTIONAL part of the ceremony where bride & groom or the mothers will bring flowers to the Virgin Mary. Perfect song for this portion of the Mass? Why, Ave Maria of course! There are two versions we can use. We may recommend one or the other depending on what instruments you have selected. We can also perform this song with a vocalist. Not a fan of Ave Maria? Just about any other classical song or Catholic piece of music will work fine. Yes! We are very happy to work with your church's organist. To the left you'll see lists of songs from our repertoire for each portion of the Mass where we will provide music. We can collaborate with your organist for all of these pieces or for none at all- It's all up to you! Your organist may also have a music list for you to choose from that will likely overlap with ours. NOTE: When JDM is booked as a duo, trio or quartet, we typically do not have the organist play with us for the Prelude (music performed while your guests are seated). However, if you book a soloist, we would be happy to coordinate with your organist for the Prelude. If extensive collaboration is required, an additional fee may be added (this will be communicated during the booking process). Once you've selected your music, you will want to put us directly in touch with your organist so you don't have to play middle man! While we may have the same songs on our individual repertoire lists, they may not be in the same "key", meaning some coordination will be involved. Also, in many cases either we or the organist will need to learn a new song or two, requiring the sending of PDFs back and forth. ...but when will you rehearse with our organist? When performing with outside musicians, we typically plan to arrive at your venue roughly 30-45 minutes prior to when we'd usually arrive for set up. During this time we will run through any songs that we'll be performing with your organist, cantor, cousin who plays violin, next door neighbor who sings or whomever else you'd like us to collaborate with! :) If additional rehearsal is needed, a fee may apply, but in our years of experience, we've never had to hold a separate rehearsal. All this said, if you'd like us to attend your rehearsal, & our schedules allow, please inquire for a quote- If we can make it, we'd be happy to be there! Now that you've read through all the details, it's time for the fun part: Selecting your music! If you are choosing music that is NOT on the list to the left, please make sure it is music that your church has approved. Also, please refer to your contract for JDM's terms on learning new music. Have questions before filling it out? Just shoot us an email at jaclynduncanmusic@gmail.com or call 917-400-1658. We look forward to being part of your celebration!! All photos above are from events that Jaclyn Duncan Music LLC had the pleasure of being a part of. 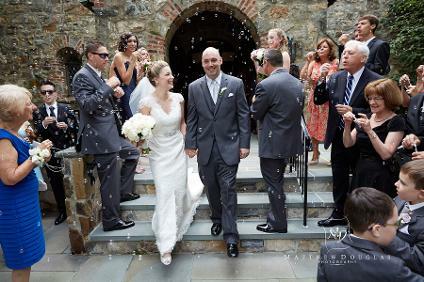 A special thanks to our fabulous clients for sharing the amazing photography from their weddings! Copyright 2010-2019© Jaclyn Duncan Music, All rights reserved.